Join one of regional Victoria’s leading community organisations, renowned for championing social models of health and partnering with and empowering Aboriginal and disadvantaged communities. Gippsland Lakes Community Health provides an extensive range of health services which affords a responsive and integrated client care model. 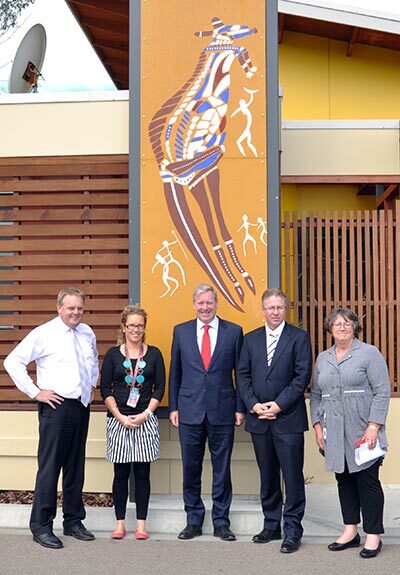 Caption: Tim Bull, Member for Gippsland East; Paula Morgan, Manager LEAHA; David Davis, Minister for Health; Andrew Ronalds, MP Eastern Victoria; and Sue Medson, Chief Executive Officer GLCH during a tour of GLCH and LEAHA. Located in the Lakes and Wilderness region, and an easy four hour drive from Melbourne, you can enjoy easy access to the Gippsland lakes and beaches, national parks and the snowfields. An array of fantastic lifestyle options are available.